What is the iGEM Competition? 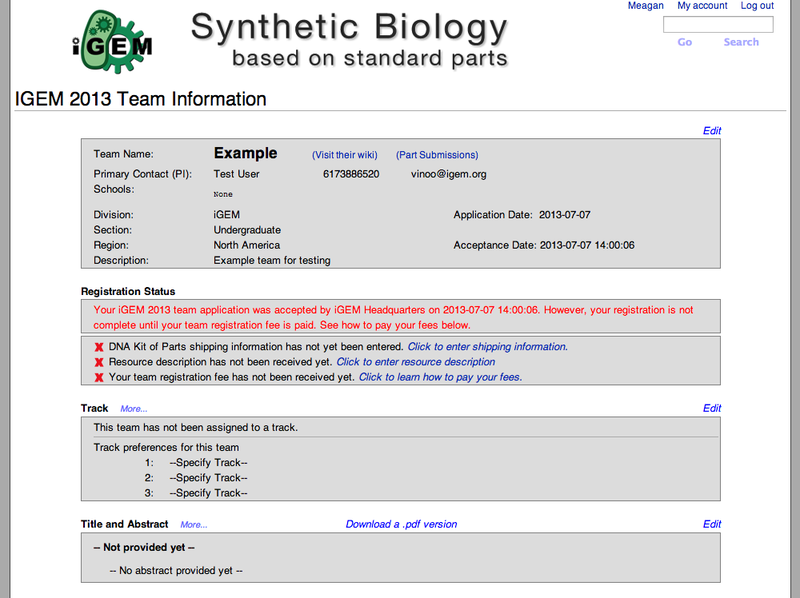 We have added several new tracks to iGEM 2014! Information about the tracks can be found on the Tracks page. Please use the online track submission tool to submit your track preferences. Select the appropriate tracks from the drop-down lists, and click "Save"
You can provide up to three track choices in order of preference, as you are not guaranteed your top choice. It is important that you submit your track selection on time, as the system will be closed on July 25. Questions can be emailed to hq AT igem DOT org.